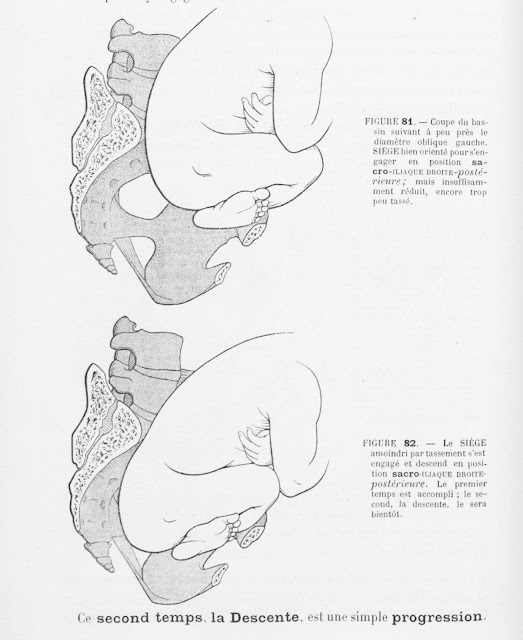 This textbook by Farabeuf and Henri V is over a century old, but the illustrations are still some of the best I've ever seen. 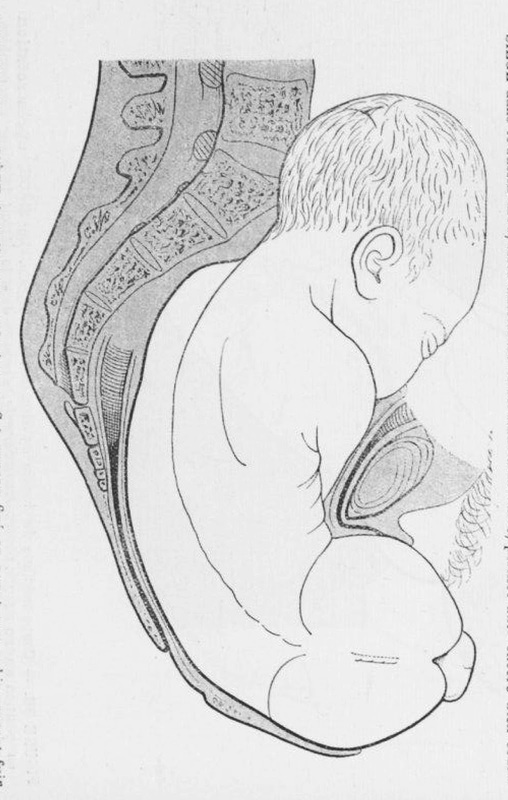 The attention to detail, the lifelike appearance of the fetus...beautiful. 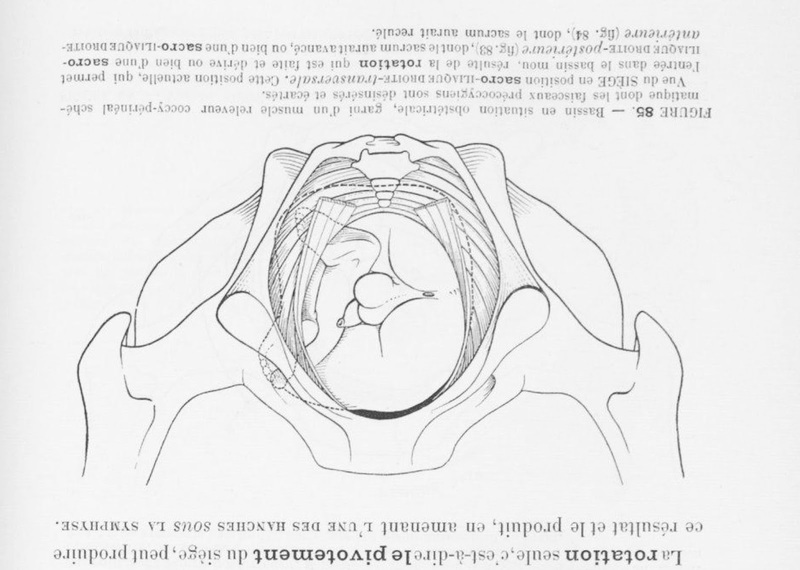 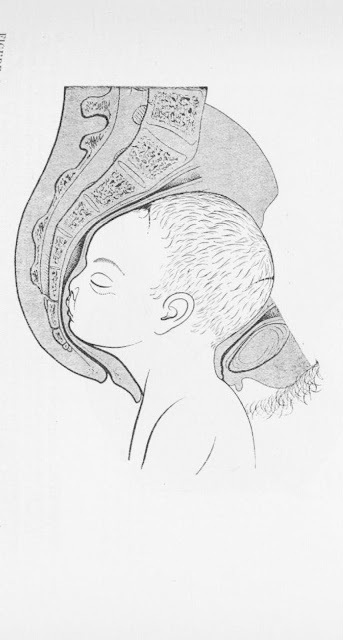 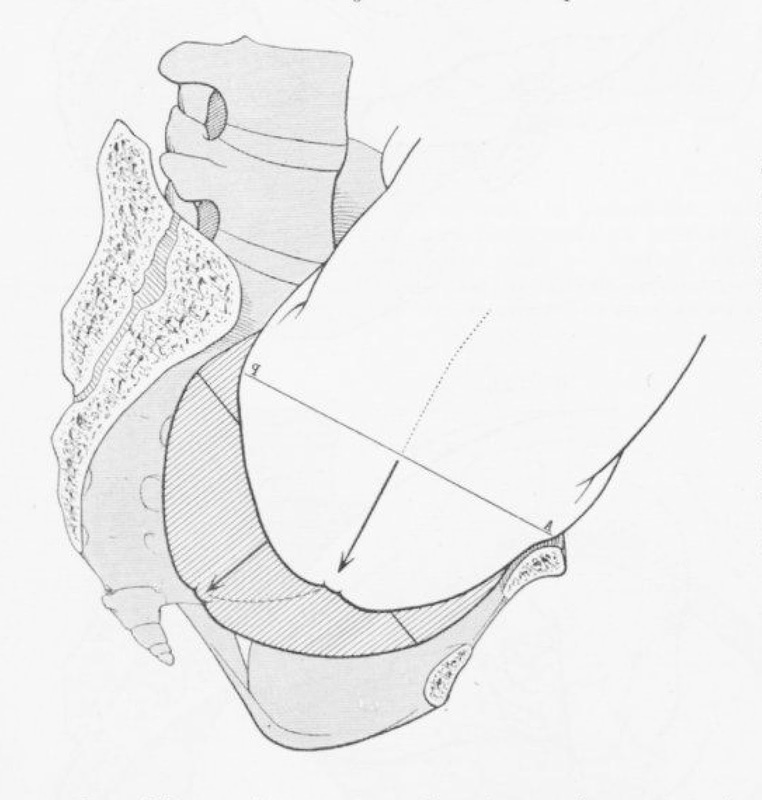 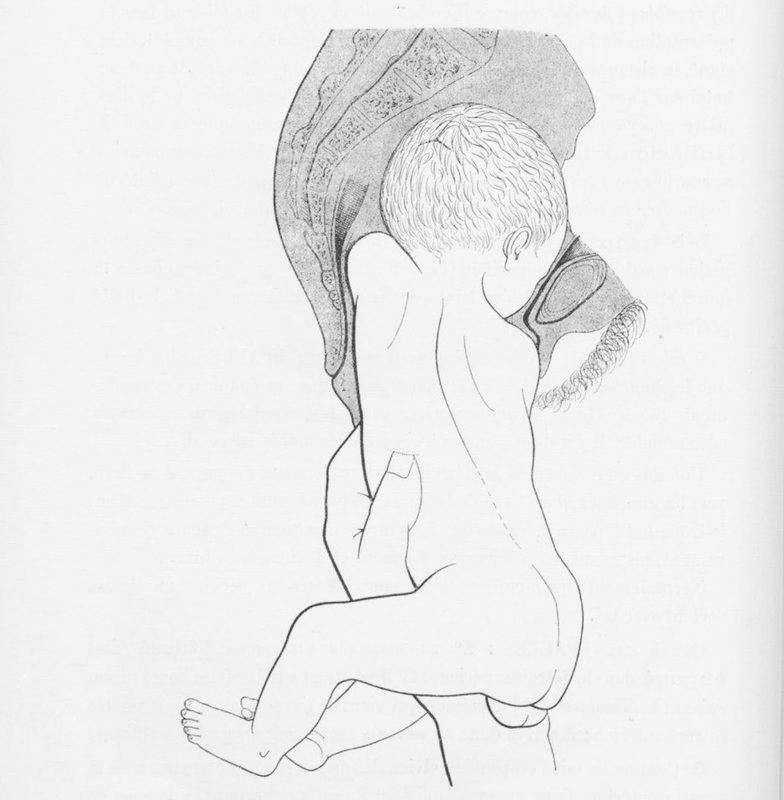 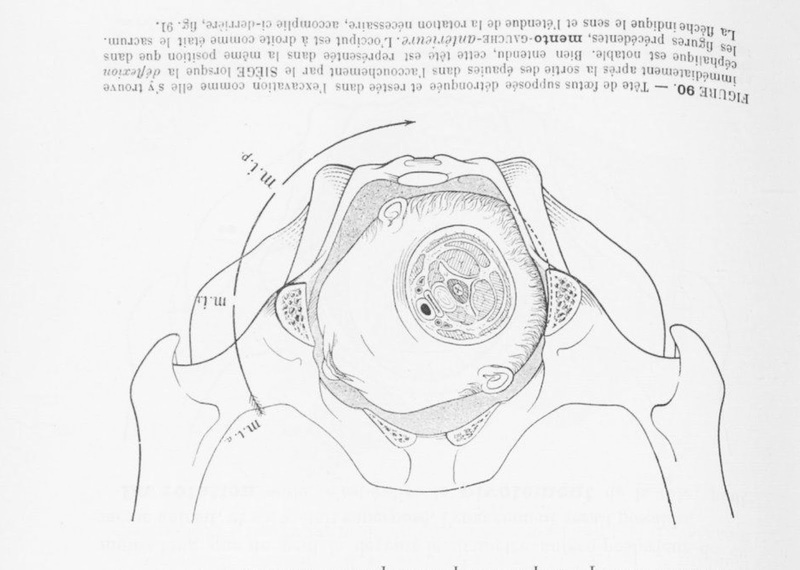 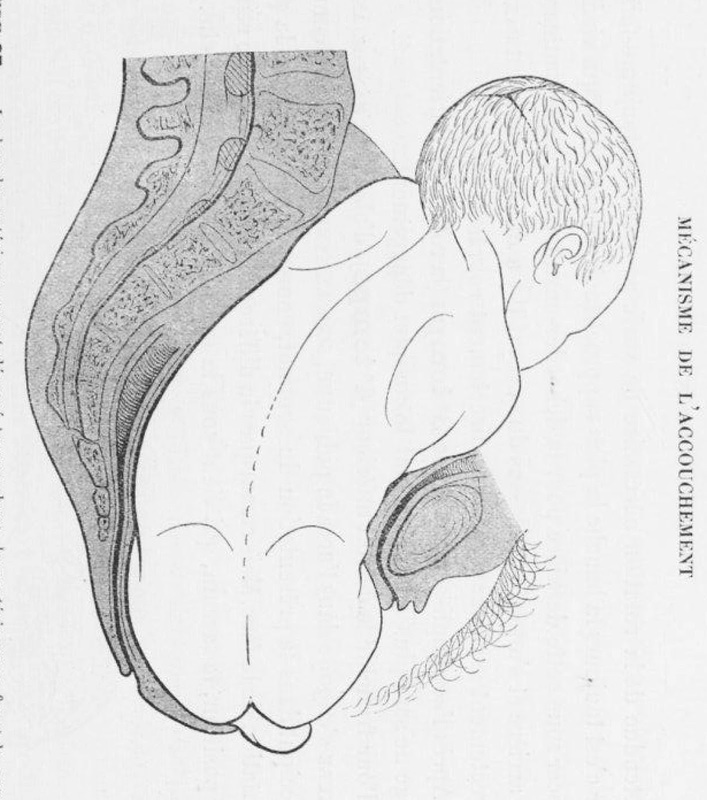 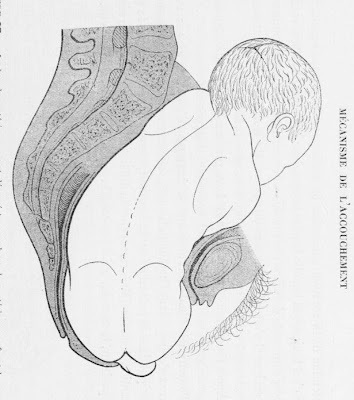 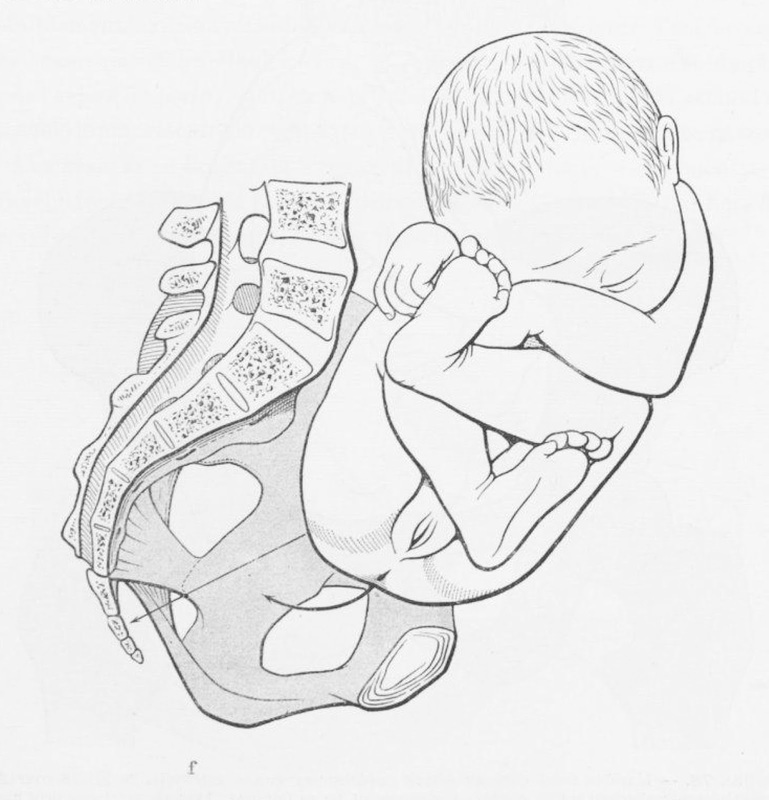 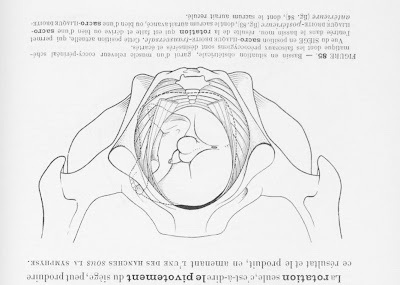 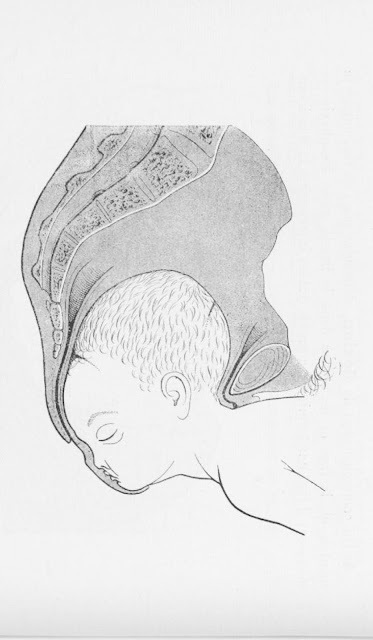 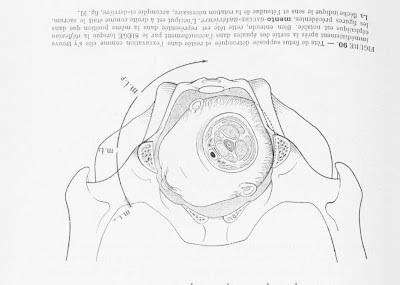 These are the complete set of illustrations from the chapter on the mechanisms of breech birth. There are other chapters on how to diagnose type of presentation by touch, interventions (maneuvers), and how to perform but full & partial breech extractions. 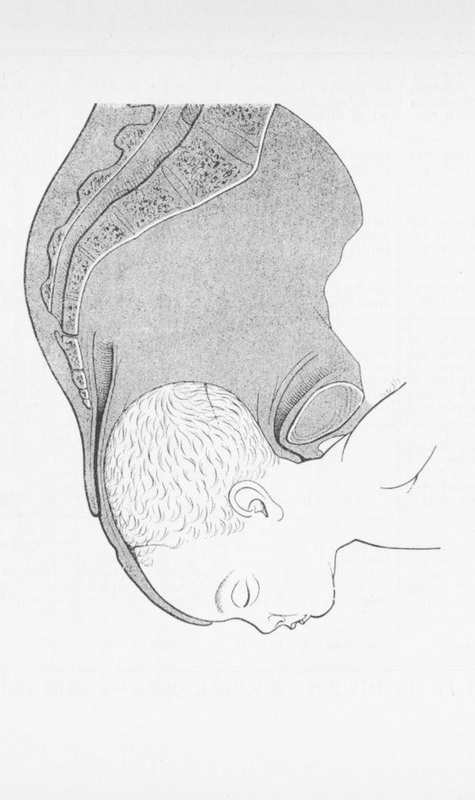 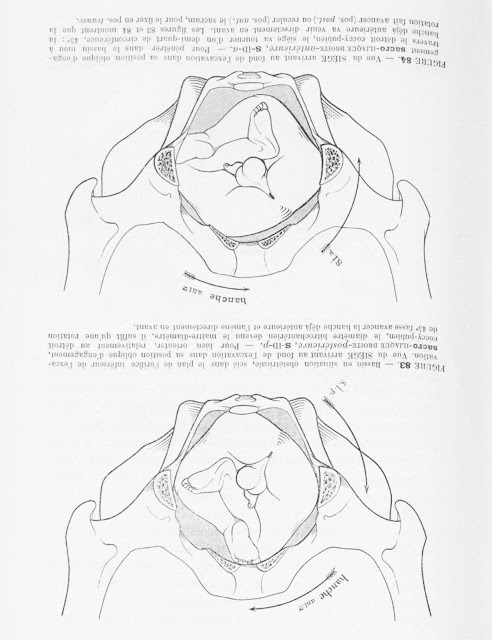 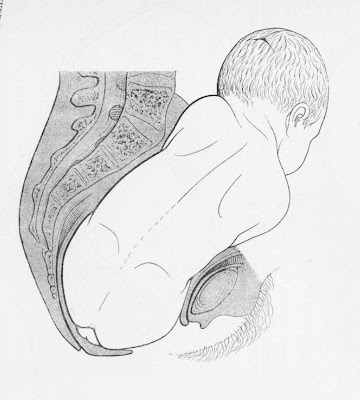 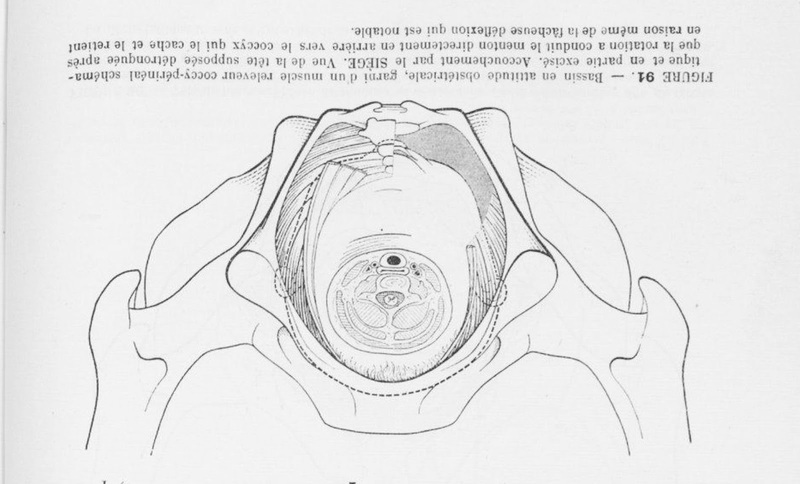 To reflect today's increased interest in upright breech birth, I have rotated some images to keep the maternal spine consistently upright. 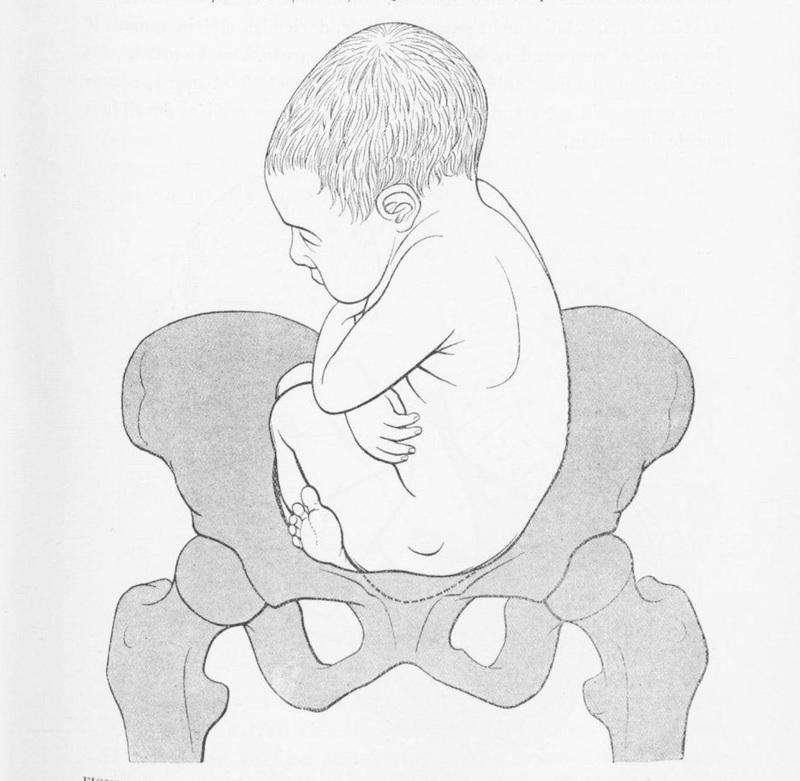 This short video shows 10 key mechanisms of a normal upright breech birth. When these mechanisms are present, there's no need to do anything other than catch the baby. 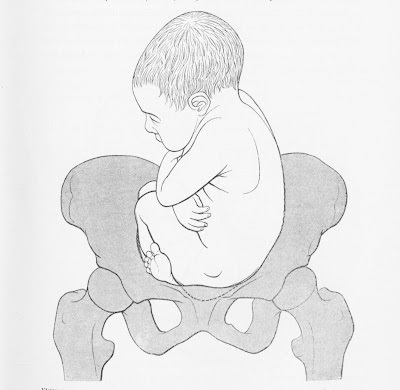 Approximately 70% of upright breech births will occur spontaneously with no need for any hands-on maneuvers. See Louwen 2017 for more information. 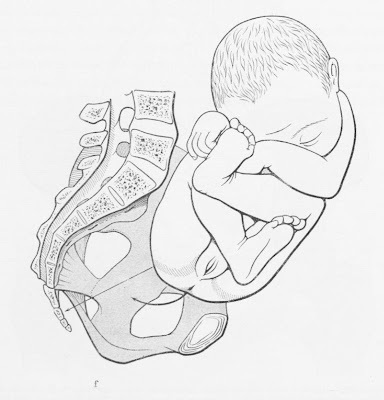 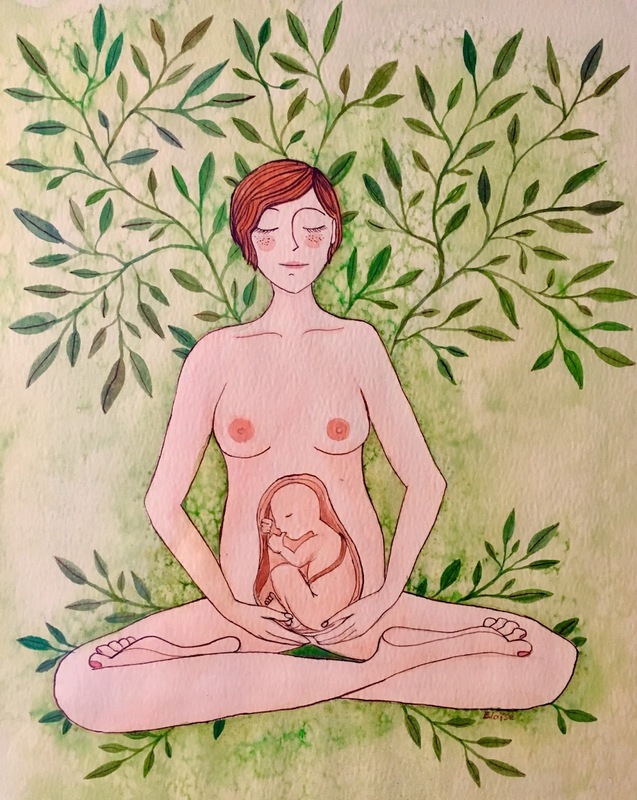 The original footage is taken from a longer video of a Brazilian couple whose planned homebirth ended up at a hospital due to breech presentation. 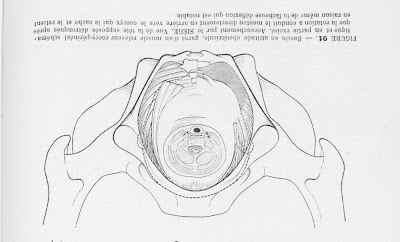 I wrote about it several months ago here.